Duck in a Truck Lottery in Support of Sea to Sky Community Hospice. All Proceeds in Support of the Sea to Sky Community Hospice Facility. Help us realize the dream of a dedicated space for end of life care. - at the Squamish Street Market June 17, July 15, August 12. - on Canada Day July 1. - at Save-on-Foods July 28 & 29. - at the Loggers Sports Show August 4 & 5. There are currently no designated hospice beds in the Sea to Sky Corridor. 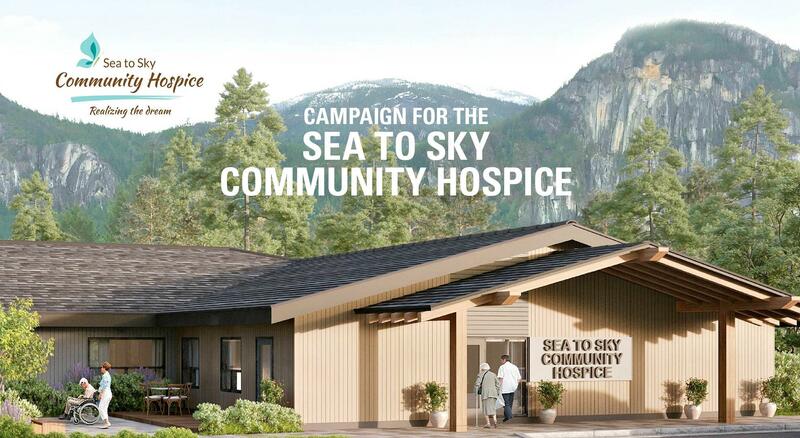 The new four-room Sea to Sky Community Hospice will be located between Hilltop House and Squamish General Hospital and will welcome Sea to Sky Corridor residents from all backgrounds, faiths, and income levels. The hospice centre will be a home-like setting that provides privacy and access to consultation teams of family physicians, nurses and other supportive professionals. It will include private bedrooms with ensuite bathrooms, a foldout couch so family members can stay, a central living/dining/kitchen area and sacred space, as well as a nursing station, medication room and consultation office. The hospice will also have a family laundry room and a shower/tub room. The project is a partnership between the Squamish Hospice Society and Vancouver Coastal Health, and recognises it is on the traditional homelands of the Squamish and Southern Stl’atl’imx First Nations. More Information HERE..